The prime-minister Dmitriy Medvedev has expressed his will to ease the Visa processing for the Chinese tourists traveling in small groups. According to him, the Russian government will soon put this initiative for consideration. Currently, the groups of Chinese tourists with 5 or more travelers already have a possibility to cross the border without a Visa for the period up to two weeks. In the nearest future, the possibility of enhancing this practice is quite likely. During the Interweb session with Chinese users, Medvedev announced that duration of a number of travelers with the free Visa option can be as small as 3 people in the group, and it is possible that the duration of the stay can reach 3 weeks. Nonetheless, such measure will concern only Chinese tourists. During the last 6 months, a number of Chinese tourists have grown up by 20%. But the tourism sector across the whole country is not very encouraged by this fact. For example, tour operators of the Lake Baikal region, have noted that the tourists flow from China grows exponentially. A number of incoming tourists from China to the neighboring republic Buryatia have gone up to 208%. Nevertheless, it does not bring any income to the regions. Primarily due to the fact that the largest amount of the tourists flow goes through the "grey", or "black" market. According to numbers, in the republic Buryatia in 2016, Chinese tourists have spent 9 million rubles, which is equal to 3.5 thousand rubles per person. Moreover, this amount remains the same throughout the years. 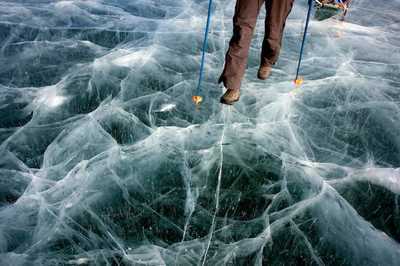 The experts highlight that such amount does not enable a Chinese tourist to have a vacation on the Lake Baikal. According to their expertise, Chinese tours are utilizing "grey schemes", where tourists are purchasing a tour below the market rate through the Chinese entrepreneur, reside at the hotel or guest house at the destination, which also belongs to the Chinese owner. Further, tourists are led to the Chinese shops, where they can purchase souvenirs also owned by the Chinese citizen. Thus, tour operators state that the income from Chinese tourists is very poor, while the pressure on the environment becomes more severe.